Very little is known to the average man of the importance of keeping the frontal air sinuses clean and healthy. These are two bony air-chambers at the base of the nasal canals which connect the corresponding nasal cavities by means of a passage called the frontonasal duct. Morbid affections such as the polypi, suppuration of the air-chambers about the nose, sinusitis following an ordinary nasal catarrh etc. arise mostly from an unhealthy condition of the air sinuses. All this can be easily avoided by keeping the air chambers germless and aseptic by frequent washing with saline solution through the suction and snuffing process of Neti, and also by hardening these cavities through vigorous exercise and oxygenation (Kapalabhati), usually to be followed by an external frontal massage which should be moderately deep. Of these, Kapalabhati or the internal cleansing of the forehead is more effective method for the purification of the frontal air sinuses. Stand erect with the chest forward and the arms passively hanging at the sides, or sit comfortably on a chair, or assume any meditative posture fully relaxed but with the chest thrown forward, whichever is found convenient. Now begin throwing out the breath from the lungs, and when you feel that they are completely empty, start taking in the breath. Then without retaining the same in the lungs, the object being to allow the air to reach only up to the frontal air cavities so as to offer an opportunity for a thorough air bath within, exhale quickly. It means then both the inhalation (puraka) and exhalation (recaka) should follow each other without a break and in rapid succession. No unusual strain or fitfulness should disturb the respiratory process and jerks and forceful inhalations and exhalations should likewise be carefully avoided. Continue to inhale and exhale alternately, without retaining the breath in the lungs. No sooner the inhalation is complete than it should be followed up immediately by a rapid exhalation. Both the movements must be deep and rhythmic For instance, simulate the deep and rapid breathing that one experiences during running - exchanging the breath soon after it is inhaled and inhaling and exhaling it quickly again and again, with the same ease and rapidity as a pair of bellows. Whenever fatigue or shortness of breath is felt, rest for a few seconds, take in a full deep breath and continue again. In the beginning, start with only 15 rounds to every half a minute and gradually increase to 30 and later even to 60 for the same period. The increase in rounds should however in no way affect the ease, the rhythm and force of breathing. One need not devote more than three minutes to the practice. Those unaccustomed to deep or prolonged breathing may find in the initial stages a tendency to dizziness or shortness of breath, which soon disappears with the practice of a few days. 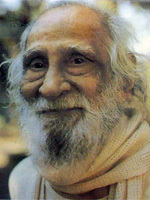 Apart from the internal purification of the frontal air sinuses through (i) the oxygenation method of Vatakrama Kapalabhati and (ii) the nasal cleansing as suggested under the Care of the Nose, (refer Yoga and Total Health, June 2011) strong rubbing and massaging of the depression in the forehead near the bridge of the nose with the thumb of the right hand is also advised as being an extremely useful adjunct. This latter process which is termed Kapalarandradhauti is regarded as an aid to curing certain diseases of the eye, ear, nose and sinuses arising from the derangements of the phlegmatic humors. Laboratory tests carried out at the Institute and the clinical data compiled indicate remarkable therapeutic value of Kapalabhati in the treatment of nasal catarrh, rhinitis, coryza, sinusitis and bronchial afflictions of the respiratory system. When applied in conjunction with the head-low postures and the deep and rhythmic actions of the diaphragm, its curative effects are considerably enhanced. In the case of nasal ailments it should be preceded by an antiseptic Jalaneti, with a view to minimizing the risk of spreading infection. The cleansing of the back and root of the tongue and the irrigation and massage of the nasal cavities are in themselves the best means of avoiding and curing bad breath and the cultivation of pus bacteria in the frontal air sinuses. Published in the July 2011 edition of Yoga & Total Health Magazine.